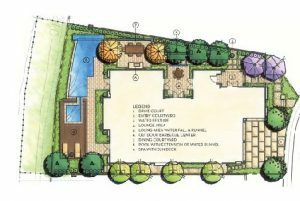 What is a Landscape Design Plan? Landscape architecture is the design of outdoor areas, landmarks, and structures to achieve environmental, social-behavioural, or aesthetic outcomes. It involves the systematic investigation of existing social, ecological, and soil conditions and processes in the landscape, and the design of interventions that will produce the desired outcome. 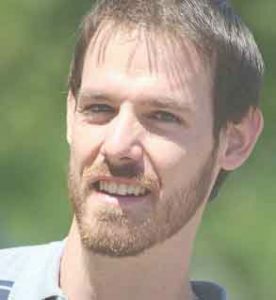 The scope of the profession includes landscape design; site planning; stormwater management; environmental restoration; parks and recreation planning; visual resource management; green infrastructure planning and provision; and private estate and residence landscape master planning and design; all at varying scales of design, planning and management. A practitioner in the profession of landscape architecture is called a landscape architect. The famous hotels keep advertising that their property is the best. They say that the beauty exuberated is absolutely serene and mind-blowing. The reason they say this is not only because of the great services they provide but also because of the architectural elegance which makes the brand glamorous. These days a lot of prominent rich men also used landscape architecture to make their property a beautiful haven so that its worth is multitude. Landscaping is an expensive issue and so can only be afforded by rich people. These days however landscape architecture is being used not only in hotels but also in homes. The main aim of landscape architecture was to include landscapes and more greenery to the property so that it would attract buyers. The same strategy is being used by residential builders these days to beautify homes so that customers will be lured in. Landscape architecture can also add a lot of functionality. The main aim of technology is to help in improving functionality while not compromising on aesthetics. In earlier times landscaping was only done to beautify and provide aesthetics. However, these days it is much more because landscape architecture also concerns itself with drainage issues reducing water consumption and soil erosion. The abuse that residential landscape architecture goes through is a lot. Moving vehicles, water tankers, garbage vehicles, children playing are all ways by which the architecture gets abused. Taking note of these situations and factors will enable you to come up with designs that include spacing and proper planning. These landscapes are usually called as amenities. Some examples are a lawn, gym and a pool. When planning the landscape it is vital to take into consideration issues like erosion, moisture saturation and grading. These conditions can be fought only with proper and strategic planning. A very common example is, it is very difficult to maintain the soil fertility of a forest area but yet the fertility needs to be maintained so that gardening can be done. In such cases flower beds can be installed that take care of both issues. Additionally the colorful flower beds have a soothing flowery fragrance. It is very important to be choosing the right kind of plants in order for the landscape architecture to look sensational. The plants provide privacy, regulate the temperature, works on stopping sound, prevents soil erosion and also has a huge hand in maintaining the water table.